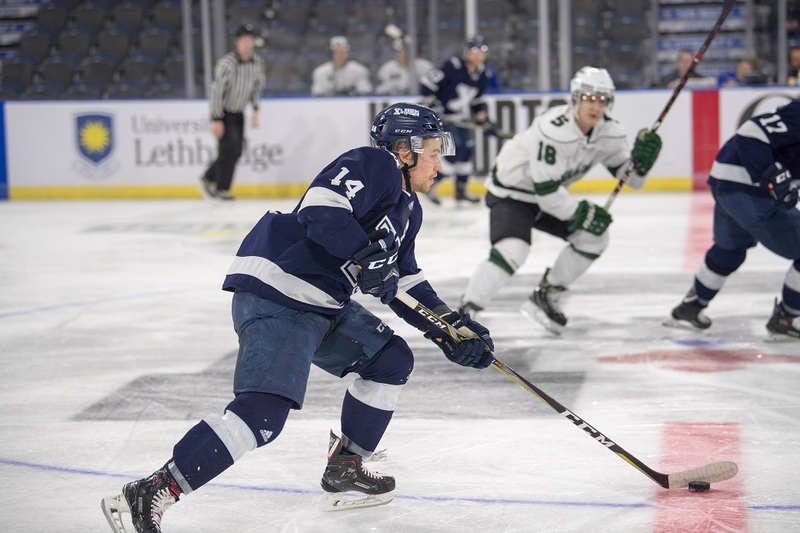 In a game that was closer than the scoreboard indicated, the StFX X-Men used outstanding special teams play, and a stellar performance from third-year goaltender Chase Marchand, to secure a 5-1 victory in the bronze medal game over the Saskatchewan Huskies on Sunday afternoon at the ENMAX Centre. StFX bounced back from a lop-sided loss to UNB the previous night to claim their sixth bronze medal in program history. “We wanted to go out on a high note and to win for us,” added team captain Mark Tremaine. Strong special teams play was the difference for the X-Men as they went 2-for-3 on the power play and successfully killed off all seven man-advantages that Saskatchewan had. Marchand demonstrated his pedigree as a former AUS MVP award winner to stop 48 of the 49 Saskatchewan shots to get the win and Player of the Game honours. Marchand praised his teammates’ selfless approach to the game. 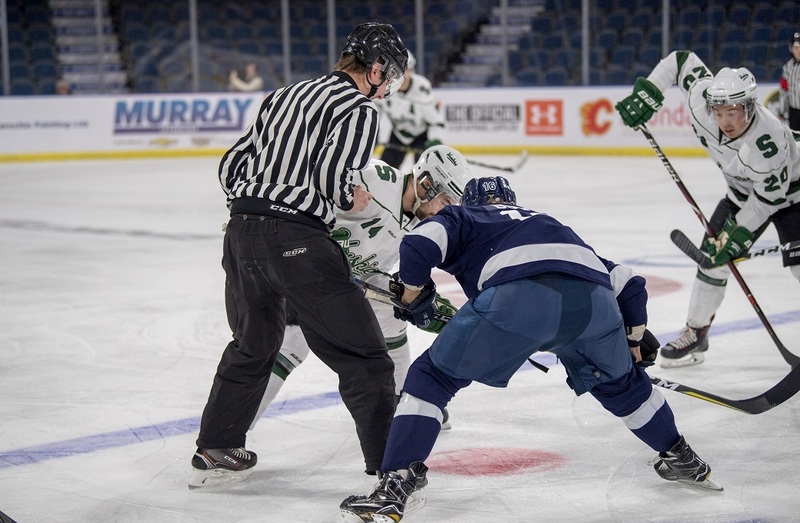 StFX would open the scoring with a power play goal just after the two-minute mark of the first period, when freshman defenceman Adam Holwell threw a wrist shot on net from the blue line that found its way through traffic and past first-year Saskatchewan goaltender Travis Child. StFX would notch another power play goal late in the first. Third-year rearguard Cole MacDonald would hammer home a well-placed one timer from just inside the blue line to push StFX’s lead to two goals. Saskatchewan appeared to cut the lead in half on their first power play of the game when fourth-year forward Levi Cable lifted a backhand shot over the shoulder of Marchand. It was called a goal on the ice, but upon review it was determined that the puck hit the crossbar and did not cross the goal line. StFX extended their lead to three just 1:26 into the second period. The X-Men would break in on an odd-man rush when third-year forward Bryson Cianfrone slid a pass to a trailing Holwell. Holwell would skate into the slot and fire home his second goal of the game. StFX third year forward Matt Needham would make it 4-0 X-Men in the second when he drove the net hard from the left face-off dot roofed a wrist shot into the top corner. The trend of scoring early in the period continued for StFX in the third. Freshman forward Matthew Graham would score the X-Men’s fifth goal of the game at the 3:28 mark on a shot from the point that managed to sneak through a screened Child. 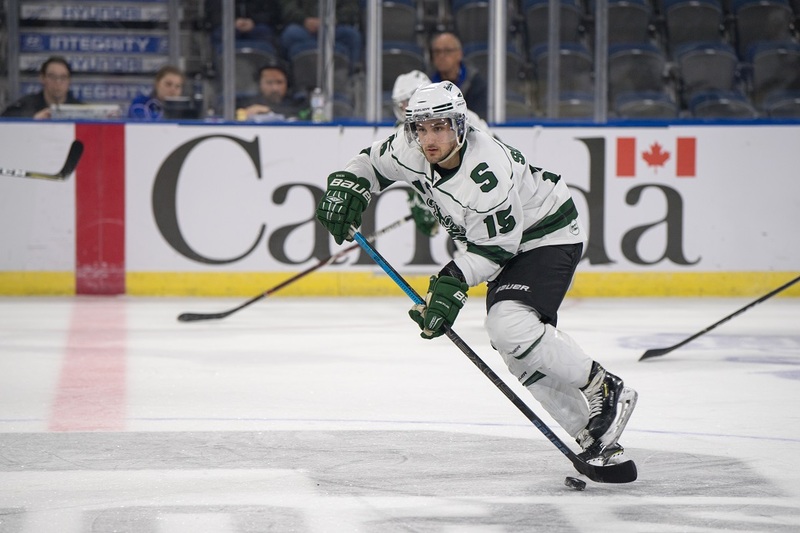 Saskatchewan would break Marchand’s shutout bid just before time expired when fifth-year forward Parker Thomas gained the zone with speed and rifled home a snap shot far side. 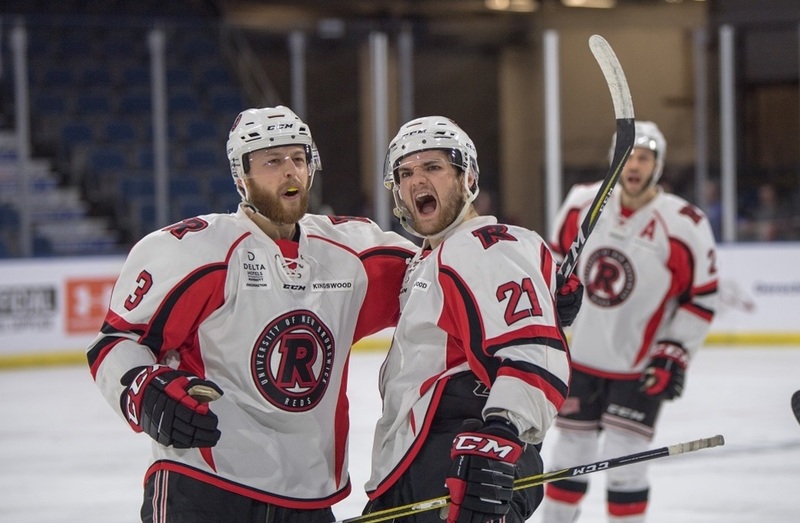 UNB will face defending champion Alberta in the 2019 U SPORTS Cavendish Farms University Cup championship game. Puck drop is set for 8:00 p.m. ET/ 5:00 p.m. PT Sunday on Sportsnet 360 and Sportsnet Now.